There are lots of comments regarding who got the better deal, and who they think is better player in the trade between Goran Dragic and Aaron Brooks. How about this question: Why make the trade in the first place? I really see no reason for the Suns to make this trade no matter who is the better player. First off, we are talking about trading a sub for a sub. Neither of these players would ever start for the Suns with Steve Nash on the team, and it’s still a question as to whether either of them will be starters in the league. Aaron Brooks was the backup to Kyle Lowry in Houston before the trade. Secondly, it’s not a very good sign when the Suns President of Basketball Operations Lon Babby says he was “surprised” regarding the trade. Obviously the Suns were not going after Brooks, and it was Houston who was going after Dragic. Then Suns General Manager Lance Blanks says “I wouldn’t classify that the trade is an upgrade.” Not a lot of praise going around in the Suns front office for the trade, so again, why make it? To further question the trade, the Suns are giving Houston their first round draft pick in this trade if they make the playoffs. If they don’t make the playoffs, they are still giving Houston a first round pick they acquired from Orlando in their trade earlier this year. So this trade would actually benefit the Suns not to make the playoffs. 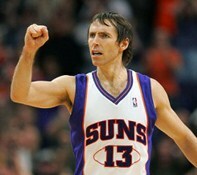 Either way, the Suns gave up a first round pick to make this trade for a backup player behind Nash. The Suns are saying this trade will help shore up their second unit and help in their playoff push. Again, why be so concerned when you’re fighting for the 8th seed of the playoffs this year and most likely going to lose in the first round. Is Aaron Brooks really going to be the difference maker in whether the Suns even make the playoffs or not? In February, the Suns signed Zabian Dowdell to a contract for the remainder of the year. He was the backup behind Dragic (now Brooks). If the Suns were thinking of getting rid of Dragic, which they weren’t because Houston approached Phoenix, why not give more playing time to Dowdell and see what he can do the remainder of this season. He’s already on the team, comes to the Suns about as cheap as you can get, and the Suns didn’t have to give up a first round draft pick for him. Lastly, Aaron Brooks may not even be around after the end of this season as he will be a restricted free-agent. The salaries of Dragic and Brooks are very similar, so there is no real break for the Suns regarding payroll. Looking at their stats this year (see above), there is not a big difference there either, as Brooks has been getting more playing time. It seems like a lot to give up for a backup player that may only be around for 27 games. Again, I just don’t see the point in making this trade unless; perhaps the Suns are looking to trade Nash in the off-season? ~ by Troy Erickson Realtor on February 26, 2011.